We thought it was time for an update on our beloved friend Sven, the family sofa. It’s the center of our most used room in the home, so it receives a lot of love and attention. Because we love this sofa so much, we are thrilled to be able to team up with Article to offer a Sven Sofa giveaway in today’s post to one of our readers! Enter below. We have received so many questions about how this sofa has held up for us, so here are some notes about how we like it now that we have broken it in. The Sven Sofa is extremely comfortable, and the leather is buttery soft which is why it has been used daily around here. As much as we reiterate no sippy cups or snacks in the living room, toddlers will be toddlers. There has definitely been some water and coffee spills (blaming myself for that one), scratches, and even an unfortunate sharpie incident. I actually love the worn in leather look however! It still manages to hold its charm. We always catch Rocco and Azelie using Sven as a trampoline, but despite the tough love this sofa receives, it still has held it’s shape! We fluff the back pillows every week to make sure they don’t sink or sag. If something is spilled I usually use a warm cloth to clean it. This sofa has been perfect for family movie night, forts, holidays, and the center of many good memories of the first years in our home. We already can’t wait to see who gets to bring one into their home. Update: Open for U.S. and Canadian Readers. (We will bring you an international one soon!) Giveaway ends August 30th at 12 PST. The Sven Birch Ivory Sectional! So beautiful! I LOVE the navy blue leather Sven or the Sven daybed in the same color–it’d look SO great in an office and double as a cozy spot for a guest! I love the tan, but the blue and black are also amazing! I’m absolutely in love with the sven cascadia blue sofa! The Sven Oxford Blue is calling for me. It would look great with our decor. I love the navy or tan Sven. Would look great in my living room! I love the look of this sofa- and you had me at ‘buttery’ leather- ohhh la la! My husband and I have just moved into our first house, and find ourselves with a living room and a family room and a sudden need for much more furniture than we currently own- the sven sofa would be perfect for our home! I LOVE the blue cascadia Sven! So glam. Love the Sven in the navy blue! I love the oxford grey and dark brown. We’re buying a new home next month, and a new couch would be so perfect for us! Thank you for this giveaway! Loving the Sven sectional and would have to go with velvet because otherwise our cats would ruin it. I have always day dreamed about the tan. I think it’s timeless and a stylish neutral to center the rest of a room around. Favorite Sven is the CHARME CHOCOLAT AND WALNUT! Thanks for the chance to win! The Sven Shadow Grey sofa is the dreamy combination ! The color and the soft velvety fabric would be fabulous to melt into and let all the stresses just fade away and instead be swept away to a dreamy place…. The Charme tan is so versatile and classic! I think the Chocolat sofa is my favorite! I have been dreaming of this couch ever since you got it! Thanks for all your tips! Oh my goodness, the Sven in chocolat and walnut is so gorgeous! It would just melt perfectly into my vinyl floors! So many heart eyes! Dreams do come true – in love with this living room!! I love it in tan leather! The Sven in navy leather is absolutely beautiful. A classic, for sure. This is my dream sofa. Make my dreams come true!!! I looooove the tan Sven! The velvet Sven in Pacific Blue is so dreamy! Love this company and how you’ve decorated your living room Anna! Would love the chance to have on in our home too! Love the Sven Briar Gray and Walnut sectional! I love the oxford grey sven! Love love love seeing this couch on IG! It’s goegeous! I love the Conan Oval Dining Table! LOVE LOVE LOVE the tan Sven! Drooling over the CHARME TAN AND MAHOGANY. My favorite for sure! I love the tan charme sofa!! The navy velvet is beautiful too, but I worry too much about velvet and kids. YIKES! And the day beds are BEAUTIFUL! This sofa is stunning. The tan one is my favorite color. Great piece of furniture. The tan one has my name written all over it. Ooh the charme tan and mahogany is absolutely fabulous. This would fit perfectly in my LR. I love the Tan and Mahogany Sven! I’ve been browsing Article furniture for our playroom on and off for months! I love the charme tan leather Sven or the velvet pacific blue Sven. I love the Charme Chocolat and the Oxford Gray Sven sofas. They are just lovely! And I sincerely appreciate you sharing your family’s rhythms with us, as well as being open about your faith in Jesus—the One who provides for our every need. It’s truly inspiring. Thank you so much for the opportunity to win! Tan Charme Leather or Pacific Blue Belvet for our playroom! Functional and stylish all in one. Love the tan! I loved your couch for awhile:) soooo pretty! Absolutely Love the tan color! Beautiful couch, stylish but looks cozy and liveable as well! The brown leather looks amazing. Oooh lala. I love the Pacific Blue sofa. I love the Pacific Blue sofa! Holy smokes, the CHARME TAN AND MAHOGANY! It’s gorgeous! I’m a sucker for all things grey  any style, in grey, is my favorite. Love the tan one you have! So beautiful! Oxford Blue or the Tan Sven would be ideal for our new house. Article has such beautiful pieces at a great price point. I love the charme chocolat and walnut! These are so gorgeous. I’d love a Sven tan leather sofa! Girlllllll this couch has been on our dream list! I would get the exact same Carmel leather version because it goes with everything. And lord knows toddlers need leather couches. Thanks for sharing your tips! anything leather is my sven dream!! These sofas are stunning. Can’t wait to own one and take my living room to the next level! I’ve been eyeing this couch for so long! Our 1990s hand me down is well loved, but in need of replacing. This is the exact couch I’ve had my eye on!! All these options are stunning. I’d most likely lean toward a tan leather. Can’t wait to own one and take my living room to the next level! The Cognac color is seriously amazing! I’m obsessed with this sofa! You had me at family sofa! Ours is a bit bulky for our living room and I’ve been itching to find a different one. We have a toddler that loves to jump and eat on our sofa too, sometimes both at the same time , so we definitely would love to have one that can withstand the “tough love” as you call it. The Sven in Cascadia blue is my dream sofa! This sofa is gorgeous! I would love it in most any shade of brown! It looks sooooo comfy. Thank you IHOD and Article for putting this giveaway together! I LOVE the Sven charm tan sofa! LOVE the Navy Blue Sven sofa! Though, they’re all gorgeous! Love this sofa! The light leather is gorgeous and love the legs! The Sven is my dream sofa! It looks amazing in your living room. I can’t decide if I like the charms tan sectional like yours or the sectional in birch! I have had my eye on the tan leather Sven for so long! I love your style and this couch! This is such a gorgeous couch and would be amazing as we work towards redoing our living room with real furniture with 4 young kids of our own! Thanks for the opportunity to win! LOVE that sofa and that color this room is so cozy to me! Such a great couch for an even more beautiful family! I’d love a chance to win this couch for our new home!!! Such a beautiful sofa! My dream sofa! Would love to win! The Sven Charme Tan and Mahogany would be my pick! The Oxford blue and grass green are amazing. But I’d probably get tan or brown or grey! I love this sofa! And Article! And this whole room! I love the one you have, Anna! And the way you have styled it. The colors in that room are total heart eyes. So cozy and that sofa looks so beautiful and comfy! I’m so obsessed with this couch and it’s been on my wishlist for the last year and a half! I’ve heard so many great things about it! The tan leather Sven is soo gorgeous!! Love love love the tan Sven! And yours looks amazing in your space! I have been looking at the tan Sven sofa. I love it! Our house is currently a bit of a hodgepodge. We’re grateful for hand-me-down furniture, but a new sofa would really make our living room feel like our own. The TAN matches our armchairs perfectly. My great grandmother hand embroidered the cushions and they are the inspiration for all my future design plans. I’ve had my eye on the tan Sven for a looooong time. Fingers crossed! I love the tan leather, it’s amazing! We are moving in 2 weeks and I dream of having this Sven in our new family room. It’s so lovely! I love the Sven sofa you have! So cute and fits with any color palate! I love the tan that you have! What an amazing giveaway! The tan Sven that you have is so gorgeous. I feel like it would work well in my space. Wow, this sofa is amazing!! It would work so well in my remodel! What an incredibly generous giveaway! I’m pretty obsessed with the CHARME CHOCOLAT AND WALNUT color! Gosh, I love the chairs too! i LOVE this sofa and have wanted it for so long! its just not in the budget right now, so to win one would be amazing! I love the tan leather one too! And close runners up are the grey velvets or the pacific blue or cascades blues. I like them all! I loooove the CHARME TAN AND MAHOGANY SWEN!!! Can totally imagine it absolutely anywhere any room in the house, it’s so perfect!!! I was just looking at the sven sofa two days ago – it would be perfect for my living room! I’m a strong believer in green sofas. I love the grass green velvet! I dream of this sofa! I love the tan. The Charme Tan and Mahogany is my favorite!!! I’ve been waiting to invest in the Sven sofa and chair until my youngest was officially potty trained. Well she decided last week it was time—and she did it in a day. So it must be time for the Sven! Yes!! Love these sofas! They always look dreamy and I’ve been wanting one forever! Thanks for the giveaway. The tan sven would looj so good in my future *dream* log cabin!! LOVE this sofa so much! Love love love the Charme tan and mahogany Sven! It will look perfect in our new 1965 home! I just love the sven sofa in CASCADIA BLUE AND MAHOGANY. This is just gorgeous and looks so amazingly comfortable. Up on my fav ig feeds- especially ones who have big families! I need myself a Sven sofa!!! Oxford Gray is my favorite. What a handsome sofa Sven is and gets better with age (love). That’s a good thing because seven of my children live at home (preK to young adult). I’m LOVING the Charme Tan and Oxford Blue! Either would look great in the soon-to-be designated multi-purpose den (my office and quiet TV or reading space). Thanks for offering this giveaway! The CHARME CHOCOLAT AND WALNUT Sven is so beautiful! I  the navy Sven!! Love this look! My favorite Sven is the charme tan- so warm and inviting looking! Love this sofa! The tan or the gray is my favorite! 爛爛 For the giveaway- we are buying our first home and this would be the perfect addition! The tan one is my favorite – though I know I could never style it as nicely as you do! I am obsessed with the tan!!! Couch of my dreams! Would have to spend some serious time deciding my favorite Sven! Haha my kids would treat the couch this way too. The more love the better! I love the Sven in birch ivory. So gorgeous! This sofa looks so inviting! Loving the color combo tou got of charme tan and mahagony as well as the charme chocolat and walnut. I have always wondered how leather would hold up with kids! thanks for sharing, we’d love to include a nice leather couch in our home.:)! This is such an amazing sofa and giveaway! Fingers crossed, as this would look amazing in my living room! I have been eyeing this couch for well over a year, I love it so much! The Sven sofa in Pacific Blue is just SO DREAMY! It reminds me of the beautiful BC coastline, ocean breezes, and cool dips on the water. I love the tan Sven; it’s beautiful! I’m glad to hear it’s a sofa that works well for your family:) We have four kids and need furniture that holds up well, too! Love your style and that you can really live in it! I have been following @article ever since I saw this couch on here! I’m in love with the mid-century modern look, such clean lines. My dad even built me a coffee table that I will hopefully have a couch to accompany soon! The emerald and blush colors are perfect. Sven charms in tan = absolute perfection! I’m in love with the Sven aqua tweed sofa! Been going back to this sofa in tan ovrnand over for weeks! Thinking of taking the carpet out of our living room, putting some planks down, painting the floors white, adding a cozy rug and this sofa to finish it off! I am obsessed with all four velvet fabrics! I think my fave today is the green. Beautiful!!! This is the exact couch I’ve been dreaming of for a while now! Would be a perfect fit in my all white rental home! I love the natural tanleather of the sven sofa. I oogle at it in all your pictures! What a fun giveaway/ thank you!! My husband and I are saving for a pretty new sectional. Oh how I would love it to be a Sven sectionlal or beautiful sofa! My husband and I are saving for a new sectional! Oh how I would love it to be a Sven sofa! Beautiful and classy! Love the Sven sofa! Love it every time I see it no matter the color! My favorite is the Oxford blue! Such a beautiful couch! It’s been on my wish list for awhile! Love this sofa ! Lusting after a velvet sectional. Been eyeing their couches for ages!! Just waiting for money to buy one  爛 I finally win something. Thanks Anna!! I love the tan sven sofa! The mahogany and tan Sven is gorgeous! love the sven youve got! Love this tan couch! I’ve been dying to get one! Wow, cannot decide between the tan and chocolat. Both so good and go with everything! It LOOKS buttery! I love love love the tan color! The Sven green grass sofa looks amazing!!!!! The Norde Charme Chair is beautiful! What a beautiful sofa! We’ve been looking for a new one and something like this would be perfect! I think the Sven Charme is so dreamy! I like both the chocolat and black sofas! Really REALLY want to get the Sven birch ivory sofa in our new house but the salsa orange is a fun color for something a little different. Just bought our first home and definitely need an upgrade from our “odds and ends” sofa we bought right before we got married. Always a little hesitant about buying one online but love that this one has your stamp of approval!! Thank you for this wonderful giveaway! Love the Sven sofa!!! I love the one you have!! I also love these awesome giveaways!! 🙂 Thanks!! I love the Sven sofa in tan!! I have to say I love the tan leather look -so classic but I’m also crushing hard on the Cascadia Blue- so luxe! I love the chocolat charme sofa! I want the oxford blue sven just remodeled our living room and this sven would add the final touch. Oh my goodness! This couch, all the heart eyes! Every color is so beautiful, so hard to pick a favorite. Leaning towards either the tan or the chocolate …. I think, ha! This leather. I was just telling my husband about this couch last night. It’s top of my list. And we like NEEEED a new couch. This sofa has been on my dream list for awhile – love the tan and dark brown! What a lovely giveaway! I really like the couch in tan – beautiful! I love the Sven sectional in tan, it’s so pretty! Love how stylish yet family friendly this sofa is. It brightens the room up with it’s beauty! I have loved this beautiful sofa ever since I first saw it on your Instagram a while back. Thank you for doing this great giveaway!!! Loving the dark brown Sven! I love the THUNDER GRAY AND BAROQUE BLACK Sitka. I love this color! Crossing my fingers. We close on our home the 8/31! The tan is gorgeous! We are trying to update our furniture from the hand me downs to our own “adult” furniture. This would be perfect. Love this giveaway and the Sven Sofa!!! sven oxford blue! wooooo mama! Would love this for our family of six to fit on! I can’t get over the Sven charme tan sofa! Especially the little 72” cutie!! What a dream to win this couch! The tan Sven is beautiful, but really all the colors are gorgeous. I love it with the chaise too! The tan Sven is great, but really all the colors are lovely. I really love it with the chaise too! oh my lanta…this couch is seriously a dream. i love the style, durability, family accommodating-ness (is that a word lol), and the endless decorating possibilities of this couch. im a tad bit obsessed! thank you for this giveaway!! my current couch has a toddler pee stain on it…..i really need this win. I have been lusting over this sofa for years. I currently have an 8 year old $400 pleather ikea sofa with holes and a crooked leg. It honestly makes me nervous when multiple people sit on it. My family is growing starting this December, and this would be a dream addition to our household! Fingers crossed! Is all of them an appropriate answer! I’m loving this sofa. The tan is on the top of my list. I LOVE the tan! We are in the market for a new sofa and it would be such a blessing to win!!! I love the look of the leather Sven. Sounds so nice with kids! Been dreaming of a Carmel colored real leather couch for three years! Haven’t been able to pull the trigger on the purchase yet- would LOVE the charme tan and mahogany! Any of the leather svens are the best. Love your sofa! I’ve been debating and wondering about the wear and tear, so thanks for writing about it. Maybe some upclose photos? Thanks, Anna! I love the tan!! Our living room could use an update! I love the Oxford blue! I’m a sucker for all thing dark blue is seems. This couch  seems like it would be great and easy to clean with kids!!! Love this couch! The color and design are perfect. I love the grey Sven! Your decor style is so sophisticated and charming. You make it look so easy to have 5 little ones! 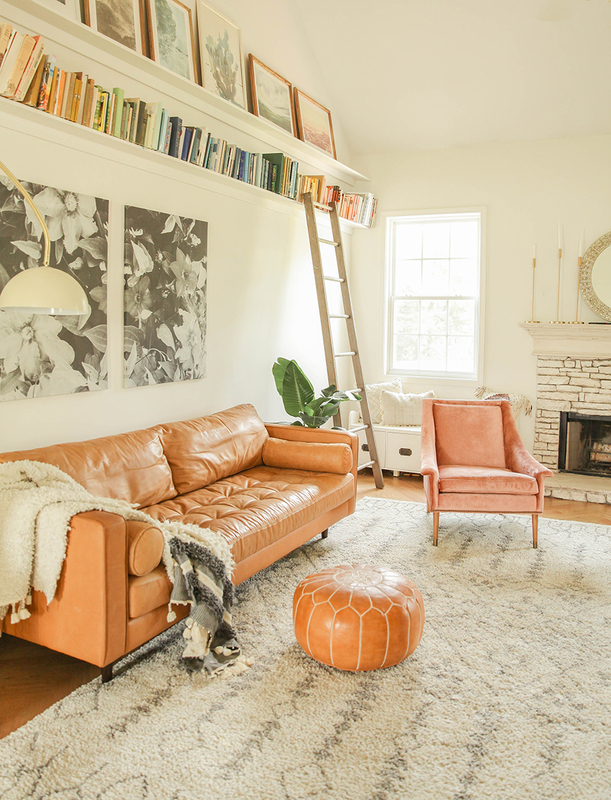 I love, love the tan Sven sofa! My husband and I have been eyeing this sofa! Your reviews and the way you used it in your space are just pushing me more towards investing in one for our home! The Charme chocolate is my fave. The tan is lovely too. I love the Sven charme tan sectional! Tan Sven absolutely! So timeless! I love them all, but my favorites would be the color you have or the blue! Love love love the Napa sectional! Beautiful piece and space enough for all of us to enjoy! I love love love the Sven charme tan sectional! The cascadia blue is so gorgeous, but I’d have to say the Tan Sven wins by a hair!  beautiful sofas! This sofa looks so good and comfortable. My favorite Sven sofa are either the HARME TAN AND MAHOGANY or the GRAY. My family would love this. Great value. The birch sven is gorg!! So classic, yet comfy and chic. I’ve had my eye on this sofa for some time! I’ve also been eyeing some of the lamps and chairs from Article! Gah! Buying a new sofa keeps getting put on the back burner, when we are way overdue for one. Winning one, especially the Sven, would be a huge blessing! I love how it fits perfectly in your living room! I love the sven charme tan. I like the Oxford Black Sven. This Mid Century Modern Sofa is exactly what is needed in our newly remodeled living room. I love the SVEN CHARME CHOCOLAT AND WALNUT Sofa! The Oxford black or grey would look perfect in my living room. I have been in love with this couch since you first posted photos of your living room! It would be so amazing to win one, especially since I just sold our living room furniture and right now we have one lonely chair sitting in here! Brand new to your blog, by way of Instagram! I love your style- family forward and approachable, cozy and warm. I actually stumbled onto your Instagram page via the Explore tab and then spent an hour trying to figure out your handle so i could find it again. Worth it!! High fives from Ann Arbor, Michigan! The Sven embodies the mid-century modern style we miss and love. It’s a toss up between the dark brown and the navy for me- both are adorable! Love the sven in navy blue! I love so many, especially the Timber Charme Tan Sofa! I love the Sven charme tan left sectional! This would be such a great upgrade to our house. I’ve been drooling over these sofas for years! They’re all beautiful! I would go out of my norm and chose the Sven shadow gray and mahogany sofa. She’s a beaut! The Sven in blue Cascadia velvet – especially the sectional! We just moved across the country and had to downsize a lot, so a new couch would be AMAZING! Definitely a charming couch! You had me at buttery soft! And now I want it. I love this Sven! It’s definitelt the one I’ve been eyeing as well. I wish there was a sectional version too! I love the one you have but also the birch ivory as well! Just not so sure how the latter one would do with my 4 littles. I have been eyeing this sofa mfor months! The Sven Charme Tan Sofia is definitely my fav! The perfect sofa! I like the Oxford Black Sven. Perfect for my home! The Sven Oxford Blue sofa is very nice looking. I love the tan Sven the best. I’ve wanted one of these sofas for so long! The seem like they would look amazing in any room, any style of home. the Nirvana Dakota is my favorite!! I love the tan one (as do most, it seems!) but I also really like the navy…it would be hard to decide! I absolutely adore and love this sofa. It’s the sofa of my DREAMS! I’m constantly looking in Instagram and how it has fit in other homes. Beautiful! I’ve had my eye on this sofa ever since you first got it 🙂 as always, your home looks beautiful! I *love* the tan but the blue is also dreamy. I’ve been daydreaming about the tan Sven or Charme for our new home. The chocolate and walnut Sven is divine!  I love leather sofas, and this mcm style is so beautiful. I just moved to PA where @article is based! I have a loft area that I have no clue how to decorate but I’d like to use it as a casual study/board game/reading space. I’m thinking the Sven Cascadia Blue sofa would work well there. I’ve always loved seeing pics of your club and I am guilty of checking on its upkeep since I have a a couple toddlers. Love the Sven Charme Tan sofa! Definitely my favorite. Your home is just so beautiful! We just bought our first home and that couch would be incredible in it! Love the look of this sofa, and leather is so great to have with young kids! I need a bigger apartment. The tan is my fav too! What a gorgeous and timeless piece! CHARME TAN AND MAHOGANY Is such a beautiful couch! Love the Sven! I have that same rug in my bedroom- if I win the giveaway I might have to move it- looks great with the couch! I ❤️ The Sven oxford and pacific blue sectionals. I love all of the especially the blue leather. But I would prob choose the ivory sectional for its versatility! Lovely! I love the Sven daybed and think having it in tan in our playroom/TV room would be a perfect fit! The sven daybed is so cool. I love the tan sven so much, and it looks really great in your living space! I love the tan Sven! Gorgeous! thus is so great! what an awesome prize for a family that is saving for lots of things! Absolutely love the tan leather one! It would look amazing in our new house. i have loved the caramel color of yours for ages, so i’d have to go with that! This is the most beautiful sofa!! we’ve got a 5 year old and 3 year old twins… if this can stand up to kids: we are in. can’t wait to have it in my loving room!!! gosh, thats a beautiful sofa. i cant decide if i love the chocolate or that blue better! Gorgeous sofa! Looks like it would be perfect for our ever evolving home with three kids, a dog, 2 cats and a tired husband… We have been living through 2 years of rennovations on our Harlem brownstone and I have been looking for something classic that will withstand kids and pets. This looks perfect!. I love the navy! I am moving to Miami for my first job after school, and it would look great against the backdrop of the Bay! I would go with the Oxford Gray and Dark Brown color Sven. Oh, the Sven Shadow Grey sectional needs a home in my living room! Gorgeous!! I would die if I won this sofa from Article. I’ve been eyeing their furniture and have wondered how comfortable the Sven was. I’m so glad you posted this. Thank you! Obsessed with the tan color. What a fun giveaway! I really can’t decide if I love Sven more in gray or green! Torn between the Sven tan leather or green velvet sectional! This is a beautiful sofa. We have a knock off design. No where near the quality and beauty of this piece. I love the products that article have. My couch to is amazing!!? I love that tan and mahogany colored sofa and would love to have one in our new house as well. I like the rail arm and being open underneath. Helps small rooms feel larger. I so despise skirts. I’m so indecisive. I visited your website and there are a couple of other models I like also. I like the blues. So rich. While I like a nice buttery soft leather, I’m not sure it’s me. It would be easier to clean than cloth. Definitely the tan ! Classic!! I love the tan sectional and since I have kids and pet love the idea of something that will still look good with time. Love love love! I’ve been searching for furniture to fill our new home, and the Sven would be perfect! Oh – and I love the tan and mahogany! So beautiful and cozy looking! I love the oxford and just fall head over heels for pretty much any Article piece with legs like that! I’ve always loved how warm the finish on this leather looks in your space! The Luxu CEDAR GREEN AND WALNUT sofa is my favorite! What a beautiful sofa! We are in need of a new sofa for our living room and this would be perfect. With an -8 month old and a baby on the way, a leather, cleanable sofa would be ideal. I love LOVE the Sven sofa in shadow gray. I’ve loved this sofa for a long time. Would love to win one. I’ve loved this sofa for a long time. The tan is beautiful and classic. 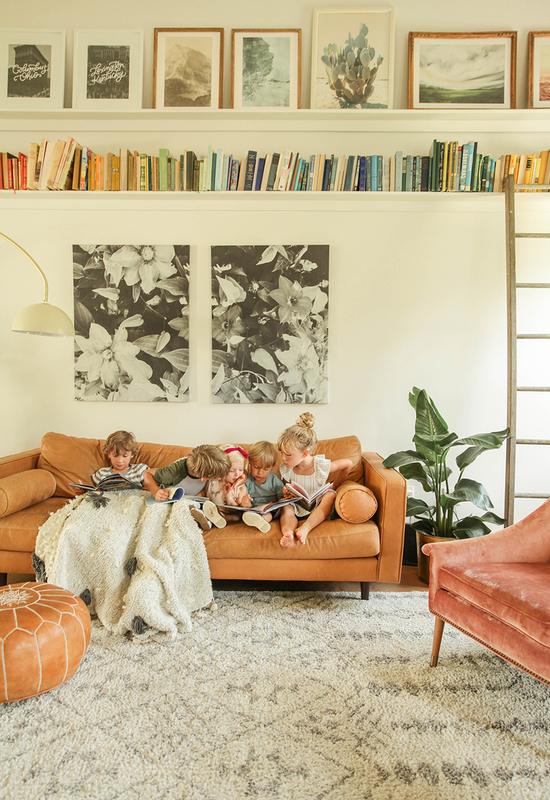 your living room is big family #goals. love sven and love your style, anna! Love the CHARME TAN AND MAHOGANY, just as you have! The black is nice too! It is difficult to narrow it down because Article has so many aamazing sofas. However, I absolutely love the CHARME TAN Sven sofa! You home is so sweet! very inspiring! Thank you!! Wow just perfect. Love what you have done looks amazing! Sven in Tan & Navy are a DREAM! We are in a new home with plenty of empty space. (Buy for kids first, right) Thank you for this incredible chance! Love your home and style! One of my favorites is the Sven Briar Grey Sofa. I like the sven cascadia blue sofa. I really like them all. I’d say the Sven Charme Tan, Birch Ivory, or Briar Gray sofa! I love he Sven Cascadia Blue Sofa. the Sven in Tan is absolutely my favourite!! I’ve been admiring the tan Sven for a while. Would be so amazing win one!! The Oxford Blue is beautiful! The tan is my favorite! Love this giveaway! I’ve admired this sofa for a long time! We would go for the Oxford blue Sven! Something different! I love it! We at finishing our basement and this would be perfect! I love the tan Sven! It’s been on my dream living room wish list for so long! I have been dreaming of this sofa for sooo long! I like the tan or chocolate color the best. the tan the tan the tan!! we actually had a navy blue couch not too long ago and as much as I wanted to love it, I just couldn’t. I don’t know… it just seemed a little too blue for me I guess. But that classic tan!! It’s dreamy! Love the leather sven sectional! Love the leather even sectional!! My husband and I have been eyeing this exact couch! we would love love love to win it! I absolutely love the Aqua Tweed Soafa! It’s gorgeous! I love the classic leather just like you have! I would put it in our living room where my family and I can relax, play, and do homeschool! Love the sofa! Looks like a very comfortable and relaxed spot to sit and catch up with friends, spend time with family and extend hospitality to new acquaintances! Would love the navy or the tan leather! Oh this is a beautiful piece! I love every single thing Artical makes!! Oh would LOVE to win this been eyeing it forever!! Love the Sven! Looks beautiful! I love this blog & all the inspiration it gives!! Thank you for sharing your lives with us as well. Keep it up and I look forward to seeing more from y’all. 🙂 I hope he Sven couch makes it to our little home. It would get a lot of love from our 4 kiddos for sure! I’ve loved this sofa for so long!! Torn between the Sven Cascadia Blue and Pacific Blue. Wish I could order both! The Oxford Blue and the Dark Brown Sevn is my favorite! Thanks for the opportunity! the sven charme tan sofa is my favorite! OOooo that Cascadia blue one is gorgeous! 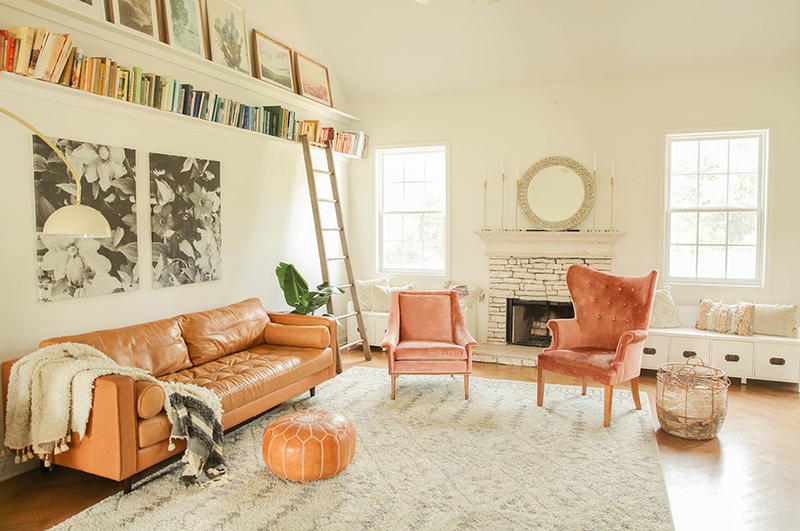 We’ve been eyeballing the Charme Tan and Mahogany Sven for a while to have a home in our living room! I absolutely love the charme chocolat and walnut Sven! The Sven Charme Tan sofa is a personal favourite of mine. I’ve been longing for a leather couch for ages, and this one ticks all the boxes. As a first-time home owner, I love making this space my own—now that I have the room! Also, it’s great to read that this sofa holds up well to babies and spills. It’s nice to see a product that can stand everyday use and maintain its’ chic look. Cheers! I love the dark brown. I love it all. But the chairs are my favorite. Especially the wing back chair. I’m in love with the Oxford Blue…but I love them all. I am obsessed with the TIMBER sofa (insert heart eyes), and the Sven in navy is dreamy! You have great taste….I can’t look past the tan color….just gorgeous and it looks so comfy. The Navy Blue Sven is my favorite! I love the tan or chocolat! Our (well loved, hand me down almost 15 year old sofa ) is a dark brown and has held up well, but is in sad sad need of retirement after 6 moves, 3 states, and 2 energetic kids. This would be so wonderful to win! I love the Sven briar gray sectional!! What a beautiful piece that still looks comfy and functional. Our well loved couch is almost 15 years old, has survived 6 moves, 3 states, and lots of love from an energetic family of 4 (soon to be 5! ). We’d love to win!! The Sven in charme tan is amazing! Wow! What an awesome giveaway! I’m in love with the blue velvet Sven! . I’m digging the Oxford blue sectional and the tan leather options! That being said, the grass green steals my heart but the fam would veto me on that one. Love love love this set up and pallette. This couch is a dream!!! 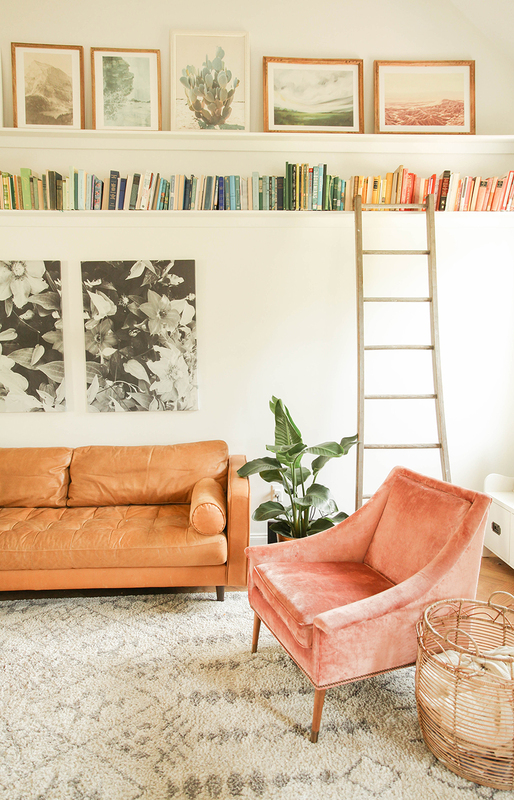 I have been oogling over this sofa for yearsz I’ve seen it come up in your beautiful space… made me fall even more in love… and over all just adore anything article!! Our current set has been through our first puppy and three kiddos and is showing the “love” pretty badly these days. I’m dying to update our tiny space with this peanut butter set of goodness. I would be SOOOOO happy. I adore the Sven Birch Ivory Sectional Sofa!!! I haven’t been more excited about a giveaway than this. This is the one home item that I have been eyeing for a very very long time. How do you guys pull this stuff off? Such a generous giveaway. Here’s hoping! Can’t go wrong with the tan! So classy! I hope I win! We’ve been eyeing this sofa for a long time. What gorgeous furniture. I would gladly take any piece. I believe my favorite is the Sven CHARME TAN AND MAHOGANY sofa. The Sven couch is eye catching and adds so much character to a room! Love it! Love it! This Sven would be so great for my classroom that has flexible seating! My students would love a cozy space!! My favorite is tan leather but I love the navy too! I like the chocolate brown Sven sofa. Thanks for this giveaway. It would be a blessing to receive this sofa. I am already greatly blessed with living in our first house as husband and wife. I would loooooove the tan Sven! We are slowly making changes to our fixer upper. My fiancé bought it 1.5 years ago and I get to move in on the 23rd of September. (We get married September 22 ☺️☺️) This couch would go perfectly in the living room right below where I’m hoping to create a collage with black and white photos over the years of us and our family members who are still here and who are no longer with us. The tan is just beautiful! The Sven Green Grass Sofa is a smoke show!! My favorite is the tan! LOVE the classics! The shadow and mahogany Sven sectional is a dream. That velvet is absolutely beautiful! Your leather Sven looks amazing, too. If only my cats weren’t so destructive to leather. Always love finding inspiration from your sweet family’s home. This is the most beautiful couch! Seriously, this is my favourite colour couch! Actually if I’m being honest, it’s my DREAM COUCH!!  You make me want this so bad!!!!! I love the Oxford Gray ! Thanks for all your uplifting content. The Charme Chocolat is my fave! Thanks for this giveaway! I just messaged you the other day and could’ve just read this blog post! Love this sven! My favorite sven is the charme chocolat and walnut which will go great with the decor in the house. Love the sloped arm peach chair! Can you give origin? thanks! I have a Sven velvet sectional and don’t think it has held up particularly well though it was pretty at first. What paint colour did you use in the living room?